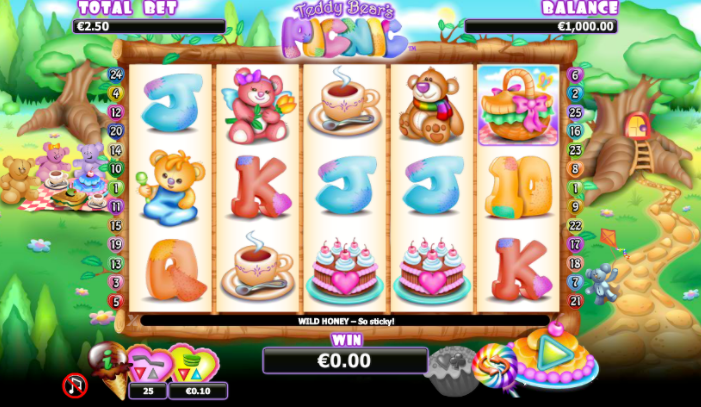 Easy slots cordially invite you to the Teddy Bears Picnic in the enchanted forest for a day of gaming on their custom online 5 reels. Explore the extensive 25 paylines and work with mammy and daddy bear to win yourself some bonus cash. The game is designed by NextGen, a company famed for their creative ability to make complex games look simple by designing each and every aspect for you to enjoy. 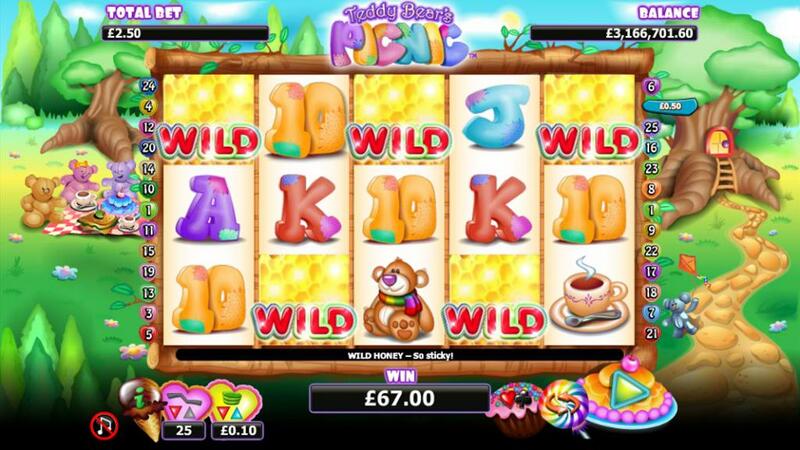 Established in 1999, these guys have a whole lotta history of making people happy by delivering stunning slots games like Teddy Bear’s Picnic. They started as anonymous Aussies and now they have their own headquarters in London. That’s what winning in life is like. Now it’s your turn to win, with Teddy Bear’s Picnic, the new slot machine game from NextGen. If you want to see more NextGen games then click here to find out more. Have you ever had a teddy bear? Of course you had, we all did, don’t deny it. Ever wondered how it acts when you’re not there. Well, the lads from NextGen already know. Teddy bears have their own happy lives, and most important, they like having picnics. Remember how you cared about your teddy bear? 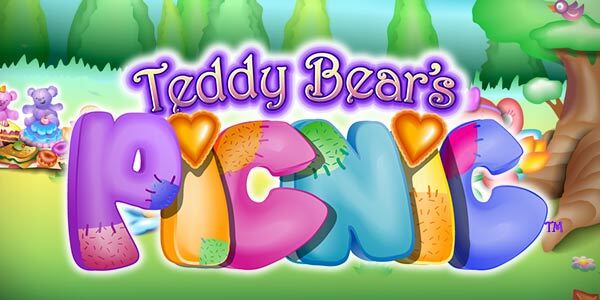 It does as well, so that’s why it is here to reward you with great prizes if you join the picnic only in Teddy Bear’s Picnic slot game from NextGen. You would think those Bear necessities for a picnic are easy to fulfill? Well, not for teddy bears, they really need your help! Join them in this amazingly colorful picnic-themed animated game-frame, as they go in the wood to have a nice picnic on a sunny day. Carefully designed, with concise, clean and clear graphics, this title gives you the opportunity to win great prizes by assisting the forgetful teddy bears to organize the picnic. Bring the tea, the cakes and all the guests and you’re in for a treat with all the bonuses this game has to offer. Land on 3 or more identical symbols and get yourself a win of up to 150x times your stake. Eating all that picnic food, may as well require something to drink, right? Find minimum 3 cups of tea and you will be thanked by everyone by giving you up to 200x times your stake. Bringing the dessert to your pals at the picnic by landing on min. 3 cakes on your screen, will give you the exact same 200x times your stake. Enlarge the party and bring some other teddy bears to the party, so with you managing to find some bears and get yourself up to 400x your stake. You know bears also like honey? Well, get them some honeycomb – that represents the wild in this game- and they will substitute all elements apart from the Scatter, represented by the Picnic Baskets symbol in this specific slot game. The wild can win you up to 500x. tour stake. The scatter can bring you up to 100x your stake, but, if found in numbers of three, minimum, they can easily bring you free spins. Last but not least, teddy bears like gambling too, so why won’t you risk it to get your winnings tremendously multiplied if your intuition is right. A joyful, colorful, easy, attractive, yet rewarding slots game that NextGen delivers by the means of Teddy Bear’s Picnic. Entertainment is guaranteed on this one, and if you like to feed some nostalgia to the inner child of yours, then this one is for you! Now check out our Cops & Robbers Slot.